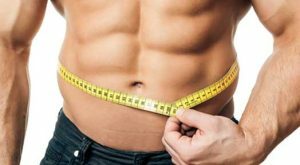 exercise to Burn belly fat" />When it comes to an aesthetically pleasing physique, it’s probably pretty safe to say that belly fat is one of the most unsightly and unattractive places to store fat on our entire bodies. Unfortunately not only is it unattractive, it is also one of the most common locations for storing fat, which can cause a variety of problems. To begin with nobody really wants a fat belly as they generally feel unattractive and self-conscious. Perhaps more seriously than that however, is the fact that visceral (belly) fat has also been found to be far more dangerous than subcutaneous body fat. The reason for this is that visceral fat can actually form a thick layer of fat over our internal organs, which then places them under intense pressure and squeezes them slightly, thus making them less efficient. The good news is that like all fat, belly fat can be burned off with a combination of diet and exercise, the trick is knowing what you should be doing.